--and much more. 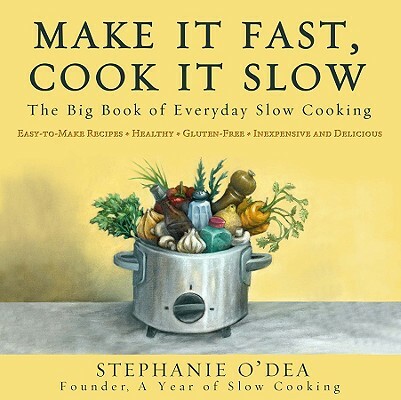 Make It Fast, Cook It Slow is the perfect cookbook for easy, quick prep, inexpensive ingredients, and meals that taste like you spent hours at the stove. Stephanie O'Dea's first book, Totally Together: An Organizational Journal for the Busy Household, will be published by Running Press in March 2009. Throughout 2008, O'Dea developed a following of over 20,000 daily readers on her blog, "A Year of CrockPotting" (crockpot365.blogspot.com). O'Dea has a background in child development and psychology, and holds a degree in English Literature from San Francisco State University. She currently lives in the San Francisco Bay Area with her husband and two daughters.